Robert MacDougall has created numerous portraits and caricatures of some of the country’s most significant sports personalities and remains one of Canada’s most influential sports artists. He had a love and skill for art from a young age and enrolled in the Ontario College of Art. 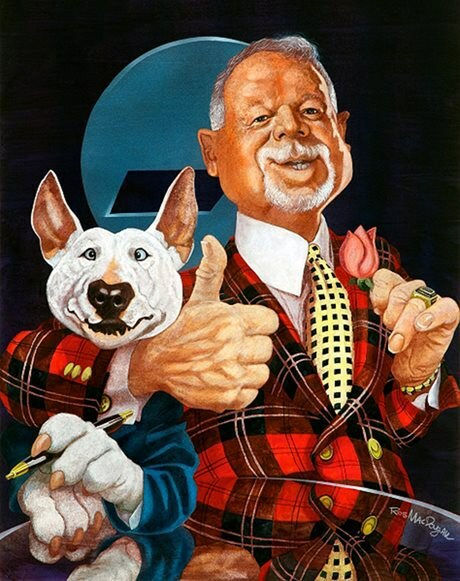 After graduating in 1985, MacDougall was hired to do caricatures of guests on Don Cherry’s television show The Grapevine. MacDougall has done many projects with Cherry over the years, including illustrating three Rock’em Sock’em video covers, and a limited-edition print for Cherry’s wife Rose’s charity foundation. In 1986, MacDougall became a sports cartoonist for the Toronto Sun newspaper and Hockey News, and in 1993 he became the official artist for the Toronto Blue Jays. Over the years, his creative pieces have captured legendary Canadian athletes, including Wayne Gretzky, Tim Horton and Mike Weir. Learn more about MacDougall and his art on his website.